Around the country, it’s getting ever harder for the other 99% to pay for housing, as both apartments and home prices just keep going up and up … and up. Where will it end? Even well-paid techies are complaining that their hefty salaries aren’t high enough to make ends meet in some of America’s most expensive cities. But, increasingly, some savvy individuals are finding alternatives. Folks with flexible lifestyles are tapping into careers, or at least gigs, that offer free or heavily subsidized housing. Check out these stories of folks who’ve lucked into jobs with free, or at least dirt-cheap, housing. Maybe you’ll be inspired to make a lifestyle change yourself—at least for a while. After all, those savings could well go toward a down payment on a home of your own. Animal lovers in the know have long been aware of the need for at-home pet sitters, but a plethora of apps and websites make it easier than ever to match sitters with folks seeking live-in caregivers for their homes and fur babies while they’re out of town. Welcome to the pet-based gig economy! And those who do it say the lifestyle has saved them quite a bit of dough over the years. Thierry, 54, and Miyuki, 59, have been sitting full time for the past five years and part time before that. In 2007, the married couple (who don’t want their last name used) quit their jobs—he as a French instructor, she as an executive assistant—to travel the world. They chose destinations based on marathons Thierry wanted to run. They spend six months a year in Japan, three months at a time, and are booked in Tokyo through the end of August. They have pet-sat and occasionally house-sat in the U.S., Malaysia, Thailand, Australia, New Zealand, Nepal, France, and Japan. Although they aren’t paid for their sitting gigs, and use their savings for living expenses, the work allows them to travel the world while reducing their lodging and transportation costs by 80% to 90%. Initially, they found pet-sitting gigs through friends and word of mouth. 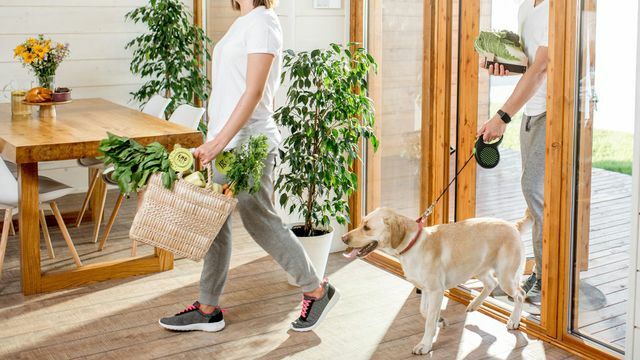 Now, they find work through the website TrustedHousesitters.com, which connects pet owners and sitters all over the world. One of the most luxurious sits they did was at a house in Copacabana, Australia, with a pool, gardener, and access to a car. The house was on the market, so Thierry and Miyuki were in constant touch with the real estate agent—organizing open houses, facilitating prospective buyers’ visits, making sure the pool and garden were in pristine condition, and looking after a 14-year-old cat that was not allowed in the house while it was on the market. They also had to make sure the furniture used for staging remained undamaged. “We thrive on knowing we are making a huge difference to owners [who have] very old cats, blind dogs, or extremely sick animals, or who have several pets, who couldn’t afford overpriced boarding,” says Thierry. 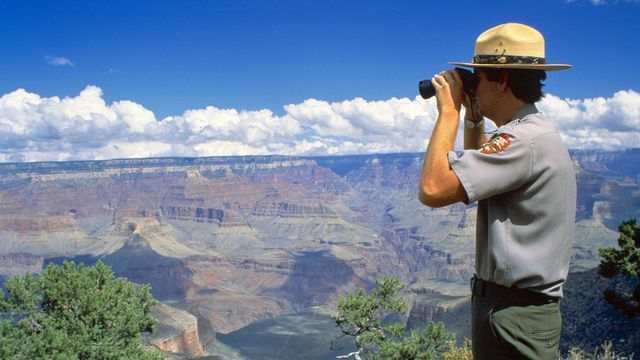 The wilderness is calling—and for those nature lovers who can’t wait until vacation time to go camping, the National Park Service might qualify as a dream employer. Though housing isn’t free, the park service offers lower-cost rentals for some necessary employees. This perk is often reserved for law enforcement rangers, medics, and maintenance and water quality workers, who are required to live within parks that aren’t close to civilization. That’s because outside ambulance response times can easily top two or three hours in the larger reserves. If this is your office, you may be in line for cheap housing. Park housing also helps to ensure employees aren’t saddled with 200-mile roundtrip commutes. The accommodations can run from rustic bunkhouses to shared apartments and duplexes and even private houses, says John Craig, a district ranger at Everglades National Park in Florida. The subsidized housing helped him to save up for a single-family home that he recently bought with his wife in Homestead, FL. Craig was required to live in park housing for his first eight years with the park service as a law enforcement ranger. For two years, he shared one of four flats in a quadplex at the Point Reyes National Seashore. Each flat had two bedrooms, and bathrooms, living rooms, and kitchens were shared. Returning to college dorm life can be quite a different experience after your prime beer pong days are over. Those brave enough to embrace and actually organize student programs and events can score free housing plus utilities at many universities. In exchange, these staff members typically must be on call at all hours for any urgent resident problems. Gaby Bermudez, 25, spent the past four months in a spacious and furnished one-bedroom apartment on the scenic campus of Dominican University of California as the residence life coordinator for 450 students. The small, private school is about 20 miles north of San Francisco in San Rafael, CA. Her duties included making sure student resident advisers in dorms were putting together programs and overseeing everything from roommate fights to building work orders. On top of the free digs, which would have cost her well over $2,000 a month on the open rental market, she received a salary in the mid-$50,000s.